Do I have to create discount codes? 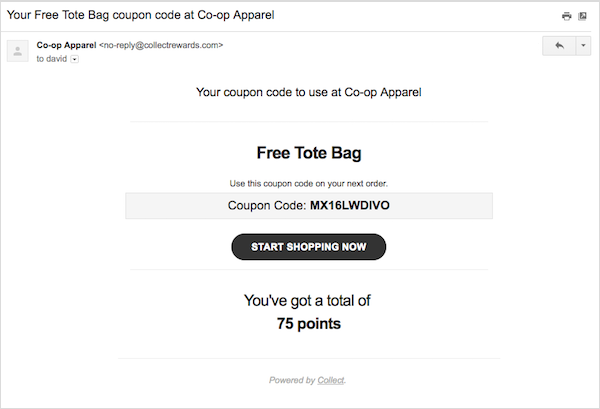 How reward coupon codes are created in your loyalty program. No, creating rewards is easy. 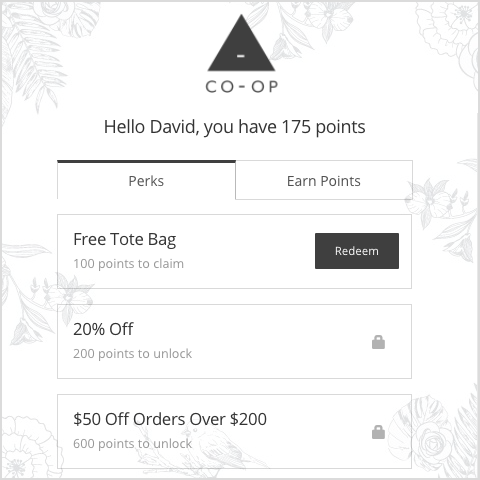 There's no need to create coupon codes - these are automatically generated when a member spends their points to redeem a reward. Coupon codes are unique and only work once. Once logged in to their account, your members will see a list of their rewards. Rewards that they have enough points to redeem, will have a redeem button next to them. 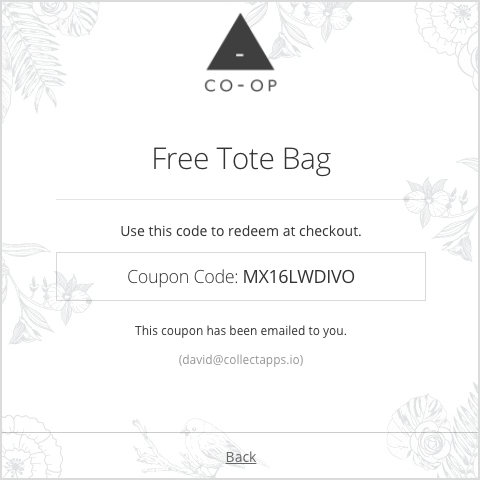 Clicking redeem will generate and reveal their unique coupon code, which they can view from the widget at any time. If you have your Reward Coupon Email enabled under Email Notifications, they'll also be sent their unique discount code, so they can save it for reference later when they are ready to buy.